Electrical wires and cables are usually made with either aluminum or copper. These material works best with cables and wires because it provides the necessary conductivity needed for performance and because these materials are abundant and primarily low-cost. When buying electrical wires and cables, it’s best to look into whichever company will supply you these products in order to make sure their negative reviews don’t overpower their positive reviews so that you can be sure that their business is not only worth your time and money, but so you can also be sure that their products are made from high-quality materials and meet industry standards. Once you decide on an electric wire and cable supplier, your next step is to determine whether or not they can provide you with all of the wire and cable sizes you need. The best way to determine this is to find out if your supplier offers customized purchase orders. If an electronic wires and cables supplier only offers the sizes listed on their website, then you might want to look into another provider. You don’t want to end up with cables and wires that are too short or end up leaving you with a lot of unnecessary leftover wires that you have no use for. This can go back to material; wires and cables that are made from high-quality materials and tested to meet industry standards are most likely going to have the proper and recommended insulation. However, it’s always good to double check and make sure that the wires and cables you are approved: 1) for protection against water, 2) protection against heat, 3) protection against fire. If you find an electric wires and cables provider who can supply you with the products that meet all of these recommendations, then you’ve most likely found a great supplier and can consider yourself in good hands. The final tip to keep in mind is labeling. If a supplier’s cables and wires do not have the proper labeling printed on the outer jacket, then you might want to look in another direction. In order to ensure that you are handling the proper equipment and making the right connections, all of the cables and wires you use should be properly labeled. 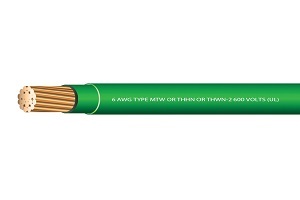 It should have the voltage listed along with the American Wire Gauge (AWG) and insulation type listed ( THHN or THWN). Another thing that could help make sure you are using and connecting the proper cables is color coded insulation or jackets. Now that you have a few ideas of what to look for when buying wires and cables, let me direct you to one of the best (if not the best) electronic cable specialists in the industry: EWCSWire. Having been around for over 20 years, EWCSWire is a leading industry expert in electric wires and cables. They know what is needed (and how quickly it is needed) and aim to get you the best top-quality products available on the market. They offer customized orders and are ready and willing to help you find everything you need in one place. Contact them today to get your wires and cables delivered and ready to use for your job!